A full day of Icelandic Adventure. 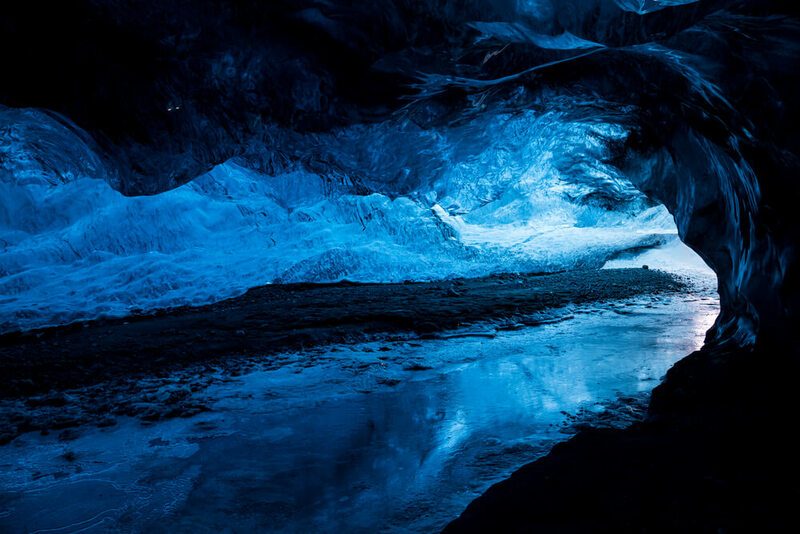 Drive along the South Coast and experience the amazing Ice Caves and Northern Lights. 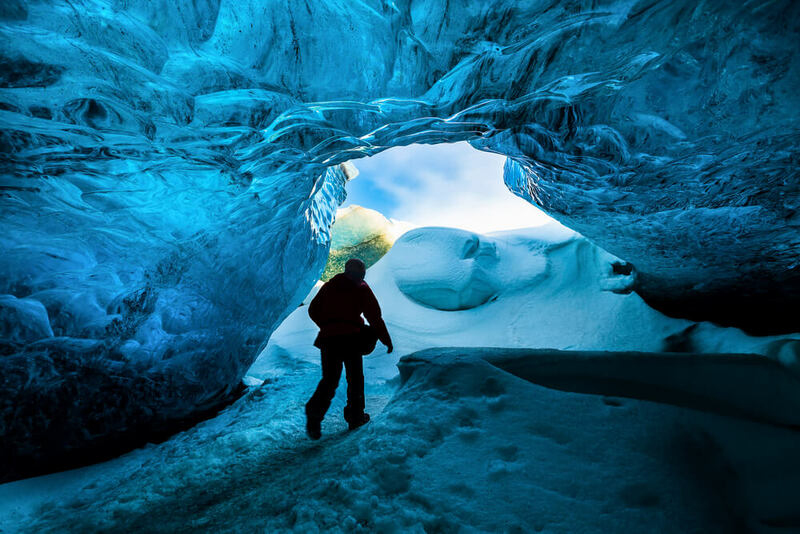 Bring with you: We recommend hiking boots and multi-layers of clothing as the temperature can be very low in the ice cave and around the lagoon. We will be providing you with all the necessary safety gear for the ice cave but make sure you’re dressed well, in hiking boots and multi-layers of clothing as the temperature will be very low in the ice cave and around the lagoon. As your safety is our number one concern we will make every effort to find the best suited and safest ice caves at each time but as the conditions around and in the glacier, are constantly changing and being shaped by the elements it’s not possible to guarantee that entrance to the ice caves. If such unfortunate situations arise we will make every effort to make other stops, and your experience more enjoyable. 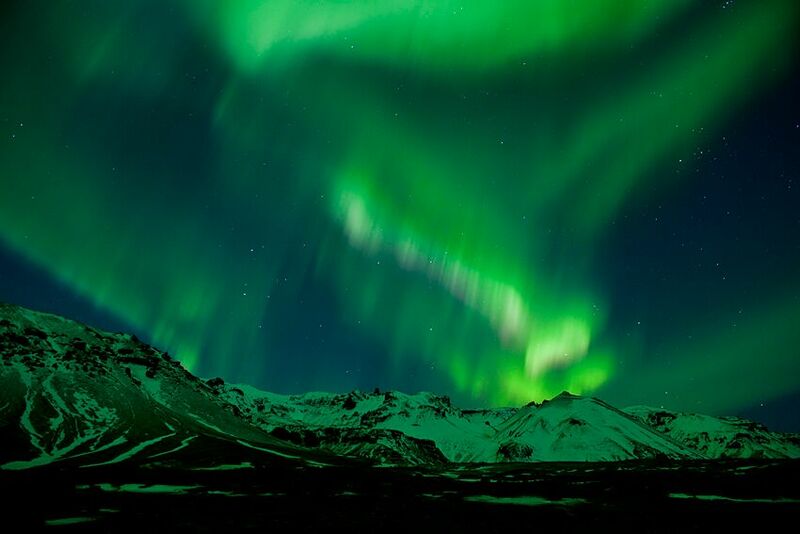 As the Northern lights can be very elusive, their sighting cannot be guaranteed but if conditions offer a glimpse of hope we will go on a Northern lights hunt. If we are unable to visit the ice cave there will be a refund in the amount of 10.000.- ISK. If the tour is canceled by us there is a full refund. 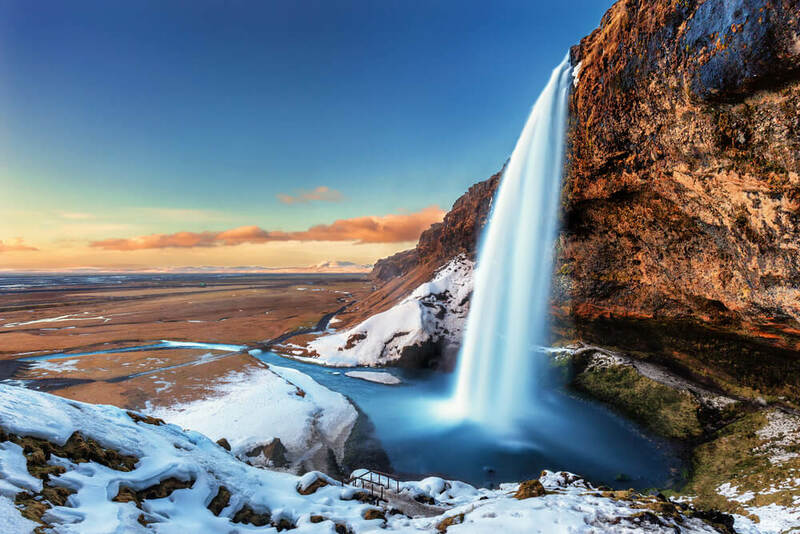 In Iceland, all itineraries are designed to be flexible taking weather conditions into account. We reserve the right to change your itinerary or cancel it with your safety in mind. All glacier and adventure trips are undertaken with the responsibility of its participants. Participants must be aware that all outdoor activities carry an inherent risk and are undertaken entirely at their own risk. Amazing Tours does not assume any responsibility for accidents that are caused by its customers or can be traced to their own actions. The tour starts with a 7:30 pick up at your hotel or a bus stop near your hotel and you are in for a very long but breathtaking day. You will be sitting in a comfortable luxury mini-bus or jeep, enjoying all the best highlights that the south coast has to offer in one package. We drive towards Jokulsarlon, glacier lagoon. 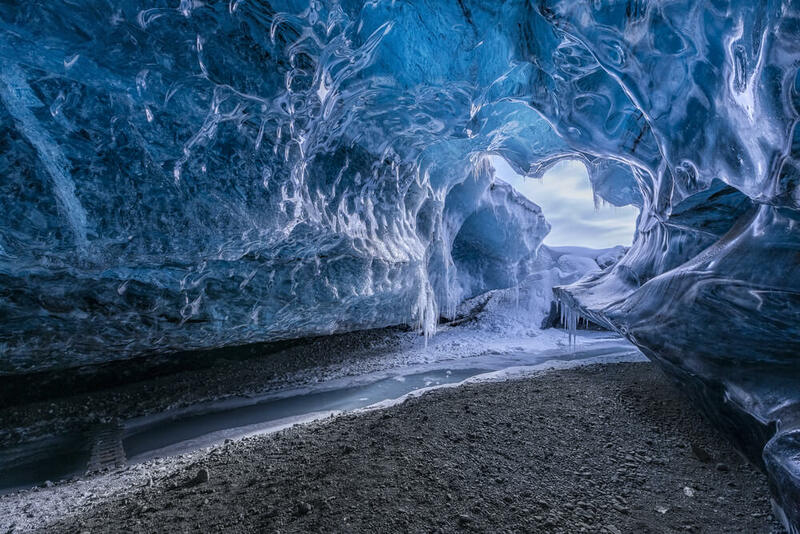 It‘s a part of the Vatnajokull national park and appeared in 1935 due to the melting of Breiðamerkurjökull glacier. Here you will see icebergs floating in the lagoon and might even see a seal from time to time. 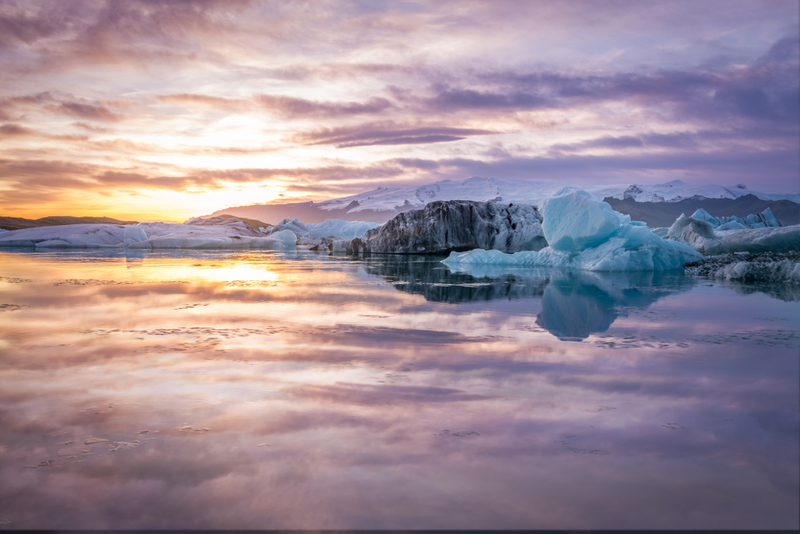 On the other side of Highway 1, you‘ll walk down to the Diamond beach where icebergs sit on the black sand beach of Breiðamerkursandur, having washed up on shore, glowing like crystals. Truly a unique experience and maybe a once in a lifetime opportunity. Once we’ve enjoyed viewing the icebergs at the lagoon and beach we drive to the ice cave where we provide you with safety gear and lights before you enter the cave. After the ice cave, we drive to our final scheduled stop, Seljalandsfoss waterfall where you have an option of walking behind the cascade. During the winter months, the waterfall is lit up and provides great photo opportunities, especially if the Northern lights appear. 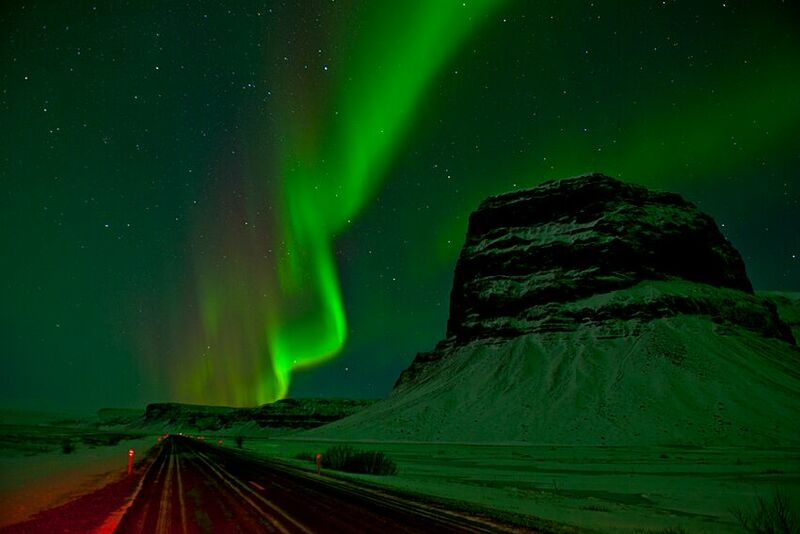 As the Northern lights can be very elusive, their sighting cannot be guaranteed but if conditions offer a glimpse of hope the drive back to the city is a constant Northern lights hunt. You can expect the tour to take 14-16 hours so bringing a snack for the ride is a good idea, the driver will also be making short stops during the tour at service stations. Make sure you’re dressed well, we recommend hiking boots and multi-layers of clothing as the temperature can be very low in the ice cave and around the lagoon. Very well organized tour with nice and competent guides. Glacier tour with southeast.island (Siggi) was outstanding! A whole day full of beautiful impressions. GREAT ONCE IN A LIFETIME EXPERIENCE!!! We had great tour guides, Benny and Siggy. Both were knowledgable and super friendly! have way through the tour, Siggi took us in a huge jeep up the glacier and then through the ice cave. Very fun driving on the glacier! This was also a small bus tour so not too many people, which was good so you don’t have to wait for people who are late to get back to the bus. Loved that there was wifi and USB plugs for phone. while at the glacier lagoon- must try the lobster roll! One draw back was that our guide waited until the night to stop and see the waterfall. We did not actually get to see it because it was dark! He should have stopped on the way instead! Another draw back was that we did not see the northern lights. Most companies say that they will give you a voucher for the following day to see the northern lights if you don’t see them on your trip, but they did not allow us to come back. Very disappointed in that. We had to pay for another tour the following day. 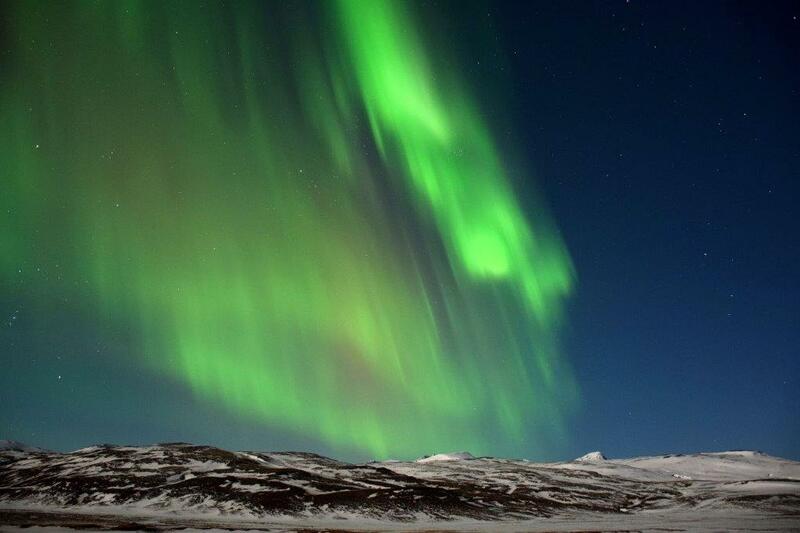 The Iceland Advice team does a great job to put together a highlights tour, with convenient pickup in Reykjavik. The vehicle is comfortable and there are just enough stops for coffee, food/bathroom breaks along the way. The guide/driver on our tour did a good job keeping us moving to each new location and provided some interesting facts along the way while still giving us quiet time to rest. Charging outlets above our heads were a great bonus. Weather conditions were quite wintry, leaving us with not much time at each of the sightseeing stops, but we lucked out with sun for the ice cave experience. Our guide for the caves was the co-owner of the small company partnering with Iceland Advice. He ensured a fun, informative and safe experience. A true highlight. While the weather on the way back took a turn for the worst, meaning no hope of Northern Lights and a very long trip, our tour leader kept us safe and informed. If you can only spare one day, I’d recommend this tour– but if you have time for a 2 or 3 day tour, I’d say go for that rather than endure a long ride back and forth with just a taste of the South Coast highlights. 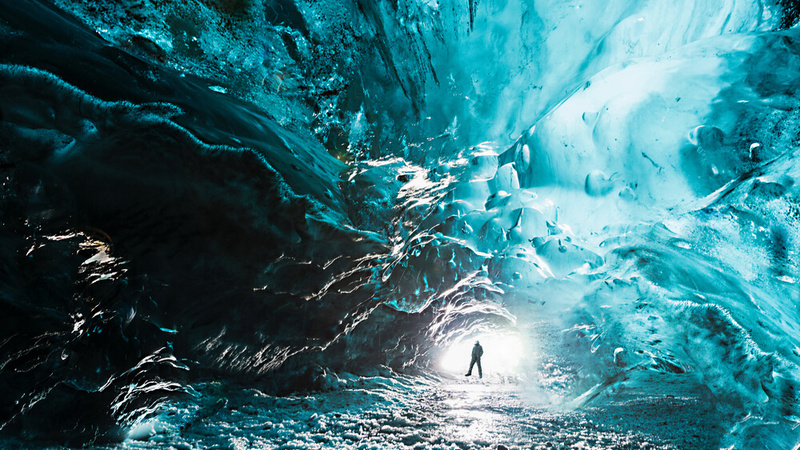 Combine two of the most uniquely Icelandic experiences this breathtaking country has to offer: Ice cave exploration and a glacier walk at Svinafellsjokull glacier.